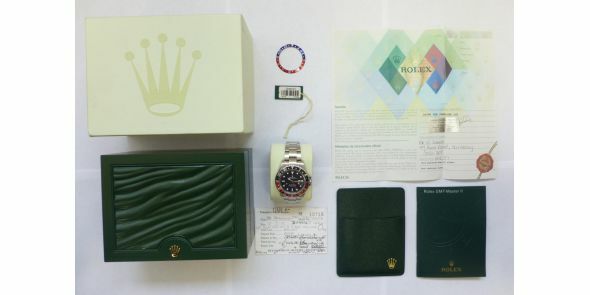 Mint condition Rolex Oyster Perpetual Date GMT-Master II Chronometer model reference 16710. 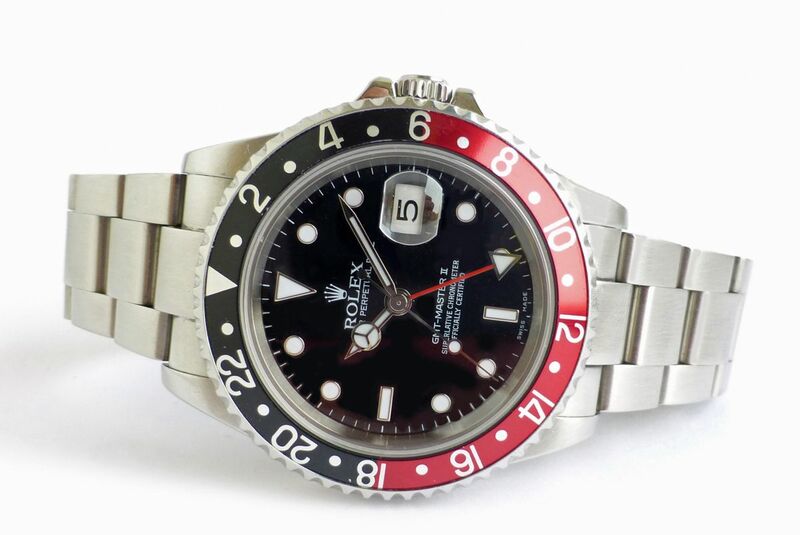 It comes on the black red bezel but also comes with a spare generic blue/red bezel as seen in the first picture of the sequence. 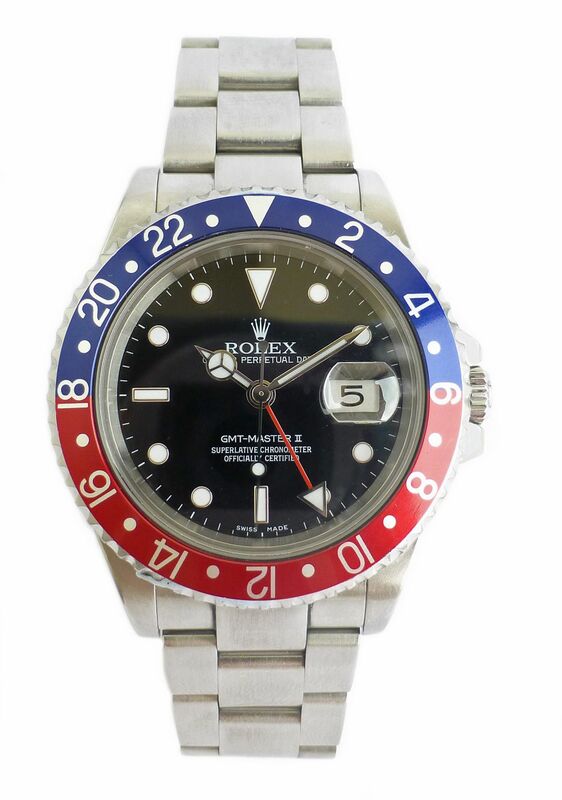 It originally purchased from authorised Rolex dealers, Laings in 2007 and was serviced by independent watchmakers Timepiece Watch Repairs in May 2015. 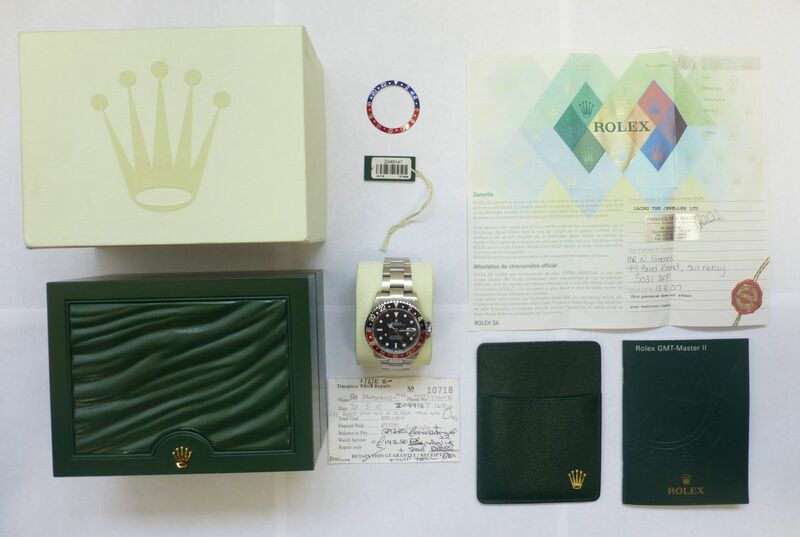 It comes with inner box, wallet, calendar card and chronometer/guarantee certificate. 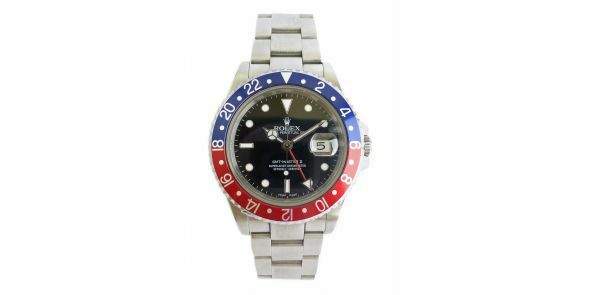 Large stainless steel case with calibrated bi-directional rotatable red and blue "Pepsi" bezel (some surface scuffs and scratches), sapphire crystal, screw down "Twinlock" winding crown, and screw case back, in very good used condition. 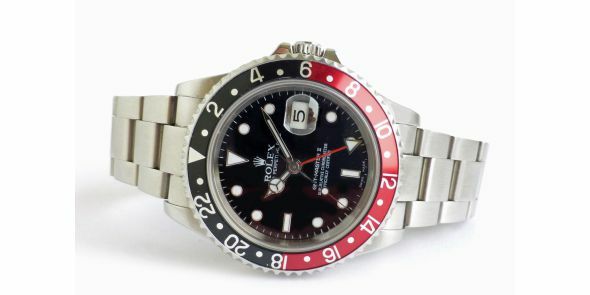 Gloss black dial with white gold and tritium hour markers, matching tritium Mercedes pattern hands, and red 24 hour pointer. 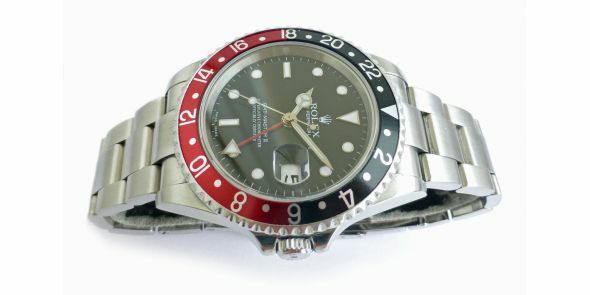 Self-winding Rolex automatic mechanism, just serviced by independent watchmaker, so is in excellent working condition. 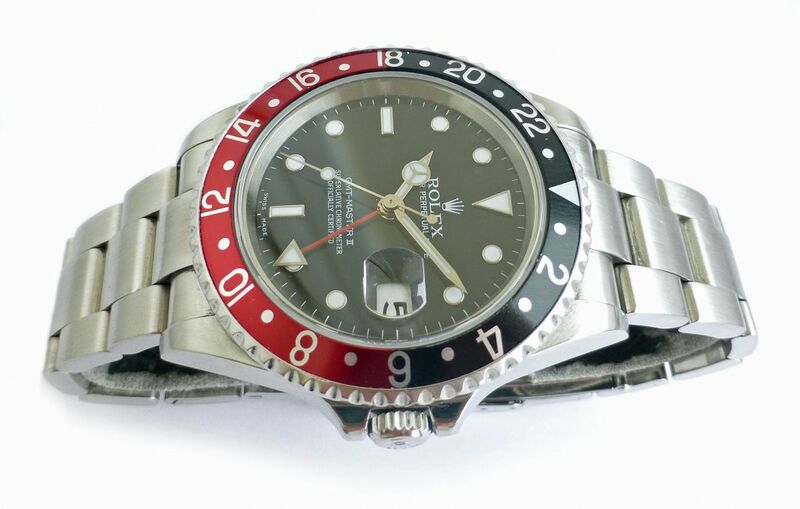 It has in the past been serviced by Rolex as there is a Rolex service indication mark inside the case back. 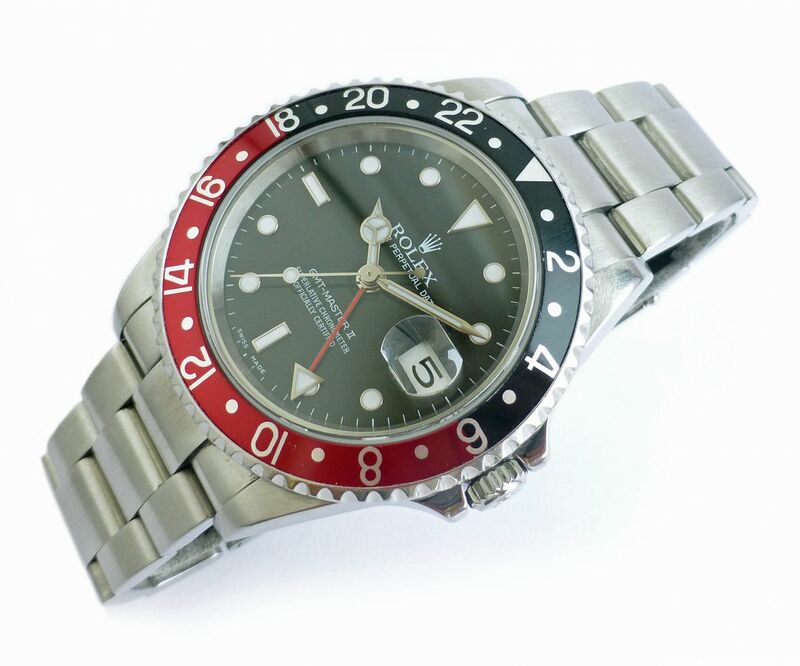 Fitted with the original stainless steel Rolex Oyster solid link bracelet with deployant buckle, in very good used condition. The crown is screwed down for water resistance. Dimensions are as follows. 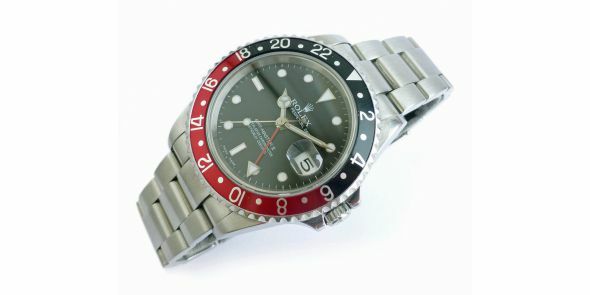 Width is 39 mm excluding crown, 42 mm including crown and 47 mm lug to lug. Thickness is 12 mm.